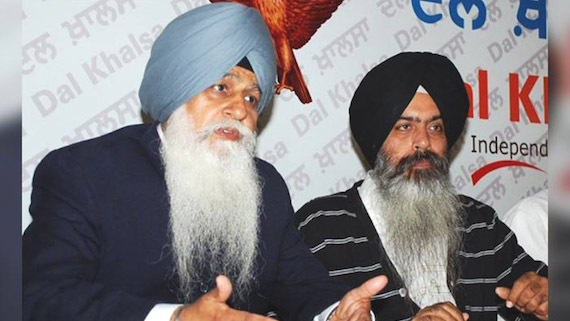 Chandigarh: The Dal Khalsa slammed Punjab CM Captain Amarinder Singh for declining the invitation of Pakistan government to be part of inauguration ceremony to lay foundation stone for Kartarpur corridor on flimsy and unreasonable grounds. It’s repeat of political stupidity on part of Punjab CM, said party spokesperson Kanwar Pal Singh referring to Amrinder Singh’s decline to meet the visiting Canadian Defence Minister Harjit Singh Sajjan in April last year. Another party leader H S Dhami said, “Amarinder is in illusion that by refusing to go to Pakistan, he will get Hindu votes beside pat from security establishment”. Terming it to be an historic moment for the Sikh Nation in particular and people of Punjab on both the sides in general”, he said “If you (Amarinder) don’t go, you will be the looser”. He said unmoved by so-called blame-game levelled by Punjab CM on Pakistan, the Punjab cabinet minister Navjot Singh Sidhu has shown the boldness to attend the event.